Why do you think Tauson will do better than Lopatetska? I don't have much concrete to form that conclusion, but Tauson winning a W60 seems to signal that she's playing much better than her ranking right now. And, as I mentioned, her commitment and work ethic are amazing for one so young. Dasha, otoh, has won three titles in this year alone, but all W25s. Not sure how well she would perform at the W60 level. We'll see. Apologies all for not getting the Challenger Chat update out this week, been busy at work and pretty distracted. I'll try to do an extra long one Monday! One VERY weird note: Andujar's first match here came against Jurgen Melzer. Yes, THAT Jurgen Melzer. Is he back? He's 37 now and hasn't played any singles at all in 2019 until this tournament. Curious what the story is there. Another indoor hard court challenger in France. So... Gregoire Barrere again? Ricardas Berankis with another dominant run? Nope! But both of those guys lost to the player who did eventually claim the trophy: Poland's hot new kid Kamil Majchrzak (23, #131). If you recall, this is the same guy who was mentioned before in this thread back in January, and he made noise at the Australian Open when he won the first 2 sets off Kei Nishikori before his conditioning let him down. Alexander "Sasha" Bublik (21, #99, Kazakhstan) really just does not feel like slowing down. He came into this tourney as the #7 seed, defeated #1 seed Tennys Sandgren in a 3rd set TB in the SFs, then defeated Emilio Gomez in the final 3 and 2. This is his 2nd title in 4 weeks and he's won 13 of his last 14 matches, with the one loss being a competitive one to Nick Kyrgios in R2 of Miami. It's his 3rd Challenger title of the year! Gotta think that Tour titles will be coming for this young gun. Quite a lot of high ranking players entered this one, presumably in order to get some clay under their feet. So who took the title? #1 seed Herbert? #2 seed Haase? Nope, neither of those. Filip Krajinovic is here as the #5 seed and he's been playing well! But even he didn't win it, although he was runner up. The winner was.... German grass-courter Dustin Brown (34, #167)?? What? Known as the "Juan Carlos Ferrero Open", you'd think it would be worth more than 80 points, being named after a guy who once scored 2000 points in a single tournament. Anyway, he's been mentioned once already, but Pablo Andujar (33, #70, Spain) followed up his win in Marbella with a title run here as well, getting him a 10 match win streak and a 13-2 record on clay for 2019. He defeated Pedro Martinez Portero (21, #140, Spain) in the final. Our biggest women's tournament of the two weeks, the local crowd was a match away from being treated to a tournament victory by American Nicole Gibbs (26, #113), who even beat the previous week's Campinas champ (see below) in the SFs. However, Gibbs' opponent in the final, Barbora Krejcikova (23, #156, Czech) absolutely annihilated her in the final, delivering a bagel and a breadstick and taking the air right out of the tournament. This is Krejcikova's biggest career title by far and gained her quite a lot of ranking spots. It was an all Aussie final for the home crowd here. Priscilla Hon was the #1 seed here and she dominated all the way to final without dropping a set. However, she was surprised to find that she couldn't handle a fierce onslaught from an unseeded Olivia Rogowska (27, #239, Australia), who was once 2 spots away from being a Top 100 player. This ends a 2-year long title drought for Rogowska, whose last trophy was in.... Canberra, in 2017. She really enjoys playing here! The winner here is a former Top 50 player who is now at #141 in the world, Danka Kovinic (24, Montenegro). Although she's had a rough couple of years, this title might be a sign that she's ready to get back to playing Tour level ball. This is her first title since 2016. Because we're obligated to talk about Swiss players every week in this thread, our winner here was Jil-Belen Teichmann (21, #152, Switzerland), the #4 seed of this tournament. She's a true clay court specialist, winning 2/3rds of all her career matches on the surface, but with an under 50% win record on all others surfaces. This city hosted two W25s in back to back weeks, with Teichmann and Juvan both playing in this second one. Those two would meet in the SFs, with Kaja Juvan (18, #160, Slovenia) getting a revenge win in 3 sets. Juvan would go on to win the title when her opponent in the final, former Top 60 player Alexandra Cadantu (28, Romania, #238), retired with injury 1-6, 0-3 down. Our 2nd tournament here, this was one of those W25s that kind of just blew up early, with only the #4 and #5 seeds even making it to the QFs, but no further. Of the four unseeded players in the SFs, Giulia Gatto-Monticone (31, #173, Italy) and Lara Salden (20, #469, Belgium) were the ones to make the Final. And although Salden had played very well, the disparity in rank became apparent in the final, with the Italian coming through with the loss of only 3 games. This is GGM's 4th W25 title of her career and she is now at her highest ever ranking. Not bad at 31 years of age! And here we have Vitalia Diatchenko (28, #95, Russia) again! Although she had just won a W60, she stayed committed to this W25 and won it without dropping a set. In fact, she played no TBs and was pushed to a 7-5 set only once, by Maja Chwalinska (17, #323, Poland). Diatchenko's victim in the final here, who she beat 2 and 2, was a "home favorite" Qualifier, Jodie Anna Burrage (19, #334, Britain). Young Daria Snigur (17, #?? ?, Ukraine) entered this tournament with a 5-0 record in 2019 pro matches, having won a W15 in Week 10. Surely she couldn't do the same in a W25, with barely any experience under her belt, right? Well, in the first set of her first match, she got bageled, so that would seem to be the case. However, she decided after that bagel that she just wasn't going to lose any more sets and yes, she won the entire tournament. Holy crap! She is now undefeated in her last four pro tournaments in a row!! She defeated #1 seed Jang Su-Jeong in R2 and former Top 40 player Rebecca Marino in the final. This is an extremely legit win. Big things in store for this kid. Showing promise in Croissy-Beaubourg the week before (see above), Maryna Zanevska (25, #242, Belgium) took that momentum into this tournament and won it as the #5 seed. This is her first title of the year. Can she get back to knocking on the door of the Top 100, like she did in the past? There weren't many high-ranked players in this one, but despite that we had a final between the #1 seed Katarzyna Kawa (26, #261, Poland) and #2 seed Ann Li (18, #276, USA). I have a soft spot for Ann Li from her impressive battle against my precious Claire Liu in the 2017 Wimby Juniors final, but unfortunately she wasn't able to get over the line here and get her 2nd career pro title. Kawa defeated her handily, having literally hundreds more matches of experience on the surface and an almost 60% career win rate on it as well. This makes the 4th career W25 title for the Pole. - Ipek Soylu (22, #522, Turkey), former world #151, won a W15 title in both Weeks 13 & 14, first titles since 2015. - Corinna Dentoni (29, #?? ?, Italy), former world #132, won as a Qualifier, first title since 2015. - Montserrat Gonzalez (24, #460, Paraguay), 11th career title, #2 Paraguayan behind Veronica Cepede Royg. - Daria Lodikova (22, #701, Russia), 4th career title, was runner-up in Weeks 11 & 12 (Ls to Vicens Mas & Helgo). - Seone Mendez (19, #512, Australia), 5th career title, 2nd in a row in 2019 (see Week 12), now 10-1 on clay for the year. - Camilla Scala (24, #679, Italy), 4th career title, runner up to Victoria Kan in Week 8. - Nika Radisic (19, #?? ?, Slovenia), 1st career title! Defeated Yuki Naito (18, #624, Japan, winner in Week 6) in 3rd set TB. Where Are Week 12's Champs Now? - Gregoire Barrere lost in Saint-Brieuc to eventual champ Kamil Majchrzak (see above), and then lost in qualies of Marrakech. - Destanee Aiava qualified for Charleston and then lost 3-0 in R1 to Belinda Bencic. - Jasmine Paolini lost in QF of Campinas, R1 of Palm Harbor, but now has qualified for WTA 280 Bogota and won her R1 match today. - Lee Hua Chen retired with injury to eventual champ Katarzyna Kawa in QF of Jackson (see above). - Seone Mendez won another W15 (see above). - Clara Tauson handled the transition to clay perfectly, qualifying for WTA 280 Lugano easily, dropping only 9 total games in two Q matches. Those were Tauson's 11th and 12th pro clay matches of her career. She is still undefeated outside of Fed Cup this year. If you get a chance to watch her play this week, please do so! - Paige Hourigan lost in SFs of a W15 in Week 13, DNP Week 14, currently a win away from qualifying for a W25 this week. - Mirjam Bjorklund lost in R2 of Obidos W25. Thanks Arvis. Brown's drop-shots are amazing. Thanks Arvis. Will,be looking out for. Clara Tauson! That one where he was way behind the baseline and running... my goodness. He's 34 so I don't expect much in the future from him, but if he's playing like this on clay, I have to wonder if he's ready to make some noise on grass this year. A huge (and shocking) ranking points payday for Austrian journeyman Dennis "The Other" Novak (25, #122)! He was the #11 seed here, but his 2019 record coming in was a dismal 2-7, with his most recent match being a straight sets loss to Antoine Hoang. So for him to come in and utterly dominate this tournament was very surprising indeed. He only dropped one set in 5 matches, a close TB loss to unseeded Kaichi Uchida (24, #243, japan). He even dominated talented veteran Sergiy Stakhovsky in the final, 2 and 4. Even more surprising is that this is Novak's first ever Challenger title and he is now at his highest career ranking. 2019 has been a lucky year for Gianluca Mager (24, #144, Italy)! Back on page 1 of this thread, in January, he won an indoor hard court tournament in Koblenz, his first ever Challenger title. Now, he's won this Barletta Challenger on outdoor clay! Impressive court versatility from the journeyman, who is now at his highest career ranking. But why do I say he's been "lucky"? Because in Koblenz he was 1 or 2 points from losing the final in straights and then his opponent fell apart, essentially gifting Mager the title. And now here, not only did Mager get a W/O in R4, but his opponent in the final, Nikola Milojevic (23, #164, Serbia) retired with injury in the 3rd set, literally gifting Mager the title! I'm sure there are many Challenger players without titles who are looking at Mager's 2019 campaign with irritation. For a tournament with relative nobody Pedro Sousa as it's #1 seed, you wouldn't think the final would be a "blockbuster", at least in Challenger terms, would you? And yet I'd say this one is worthy of the name, as talented Spanish clay courter and former World #72 Roberto Carballes Baena (26, #103) gamely defeated hot young Swede Mikael Ymer (20, #176) in three sets in the final. Ymer was attempting to get his second title of the year, but instead RCB got his first. Ymer won the first set of the final 6-2, but then completely lost the plot, winning only two more games for the remainder of the match. Both players will be ones to watch in qualies over this clay court season. Hey, look! It's Vitalia Diatchenko (28, #73, Russia) again! She's been all over the Challenger Chat thread this year and she's won yet another big title, not letting the pressure of being the #1 seed get to her. This makes three titles in a row for the Russian veteran. Three! And her 5th of 2019! Since losing in QR1 of Miami (to Muchova) she has won her last 15 matches! Croissy-Beaubourg and Bolton were both indoor, but this one was outdoor, and you'd think the transition might be tricky, especially considering her indoor record this year is 21-2 while her outdoor hard record before this was a dismal 2-3. But if anything, she played BETTER here than she has in her last two tourney wins! Diatchenko absolutely slaughtered her competition here, dropping only 12 games the entire tournament and delivering 5 total bagels to her opponents, including one in the final! The only player she faced here that didn't eat a bagel was Fatma Al-Nabhani (27, #412, Oman) in R1, and she still had a breadstick to eat. Ankita Raina (26, #180, India) was the runner-up here, looking for her 2nd title of the year. She did take 4 games off Diatchenko in the 1st set, the most games Diatchenko lost in a set this tourney. It's time for us to watch out for Diatchenko on the Tour level now. Unfortunately for her, it's the clay season, so she's getting hot at exactly the wrong time. Will she be able to keep playing this well on other surfaces? Having already won two W15s this year, Anastasiya Komardina (21, #477, Russia) stormed through this draw unseeded, taking the title with the loss of only one set (to recent W15 champ, Lou Brouleau (23, #699, France)). This is Komardina's first title at this level in 3 years, having won her two other career W25 titles back in 2016. Although her ranking is 300 places before what it once was, she's still very young! Might she get back into the Top 200 soon? Runner-up here was #6 seed Audrey Albie (24, #316, France) who defeated #1 seed Katie Swan in the QFs. #1 seed Harriet Dart (22, #134, Britain) and #2 seed Robin Anderson (26, #202, USA) both made the SFs here, and yet both of them lost to the same Qualifier who ended up taking the title; a player who has already won a W15 this year and now, out of nowhere, 6 weeks away from her 31st birthday, has won her HIGHEST level title of her career: Laura-Ioana Paar (30, #383, Romania)! Part of an army of hyphenated Ioanas from Romania, Paar has never been higher than #280 at any time in her career. Having now won her biggest title ever at such a relatively old age, could we see Paar make more of a mark this year? She barely even qualified for this tournament, having to win a super TB against Victoria Muntean (22, #583, France) in QR2 to make it to the main draw. From there, though, she only dropped 2 sets, one of those in final against Dart. It certainly seems to indicate future success. However, despite Paar's 25-5 record in 2019, all 30 of those matches have come on indoor hard courts. Her career record on clay is quite good, but could the transition mess up her momentum? 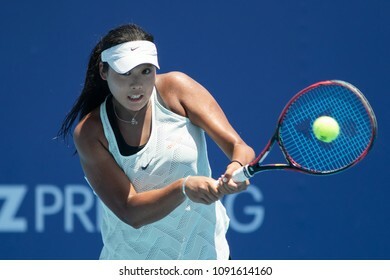 Having already won her first career pro title earlier this year (W25 Altenkirchen), promising Chinese teen phenom Ma Shuyue (19, #266) wins her second just a few weeks later as this tourney's #4 seed. Although she had some trouble in the QF round, needing to go until 7-5 in the 3rd against Aldila Sutjiadi (23, #607, Indonesia), she kept her cool and won the title. This is one of several Hong Kong tourneys at this level, and Ma had previously been runner up at one back in January, losing the final to Dasha Lopatetska. This time we DID get our rare final between the top two seeds, but it still resulted in an upset, with #2 Han Na-Lae (26, #192, South Korea) defeating #1 Wang Xiyu (18, #175, China) in three sets for the title. This is Han's 9th career title, her 7th at this level. She hasn't won anything higher than a W25, though, so let's see if she can change that this year! So this is an outdoor carpet tournament, according to the ITF website. Huh. Anyways, the SFs here were waged between two Georgians and two Spaniards, with the title eventually going to Mariam Bolkvadze (21, #252, Georgia) as she defeated Nuria Parrizas-Diaz (27, #319, Spain) in the final. Bolkvadze is now at her highest career level and is 9-1 in her last 10 matches, having been runner up in the first Obidos W25 earlier this month. #7 seed Jacqueline Adina Cristian (20, #328, Romania) gets her first title of 2019 after an impressive run of clay court play! She qualified for both Sao Paulo and Curitiba and played well, even making the SFs of the latter. She had direct entry into this thanks to those good results and made the most of it, not dropping a set on the way to her first trophy in 2 years! Historically she's not even that good on clay, being more of a hard courter. She was once 1 ranking spot away from making the Top 200. If she takes this form into a surface she's more comfortable with, could she finally get back there? Another #7 seed gets victory here as Barbora Krejcikova (23, #157, Czech) defeats #2 seed former #102 Caroline Dolehide (20, #229, USA) in the final, 4 and 3. This is Krejcikova's 2nd title in as many weeks and she's now 10-0 on clay for 2019. She'll be one to watch for if she shows up in qualies somewhere in the next few weeks! - Park So-Hyun (16, #?? ?, South Korea), made her professional clay court debut this year and now has a clay court W15 title. Won a 3rd set TB in QFs. Could Korea have an actual tennis prospect here? - Magali Kempen (21, #?? ?, Belgium), her 3rd title this year, now up to 23-4 W-L record in 2019. - Kamilla Rakhimova (17, #632, Russia), 2nd title of 2019 and her career, 17-3 record and now 5-0 on clay. - Natsumi Kawaguchi (16, #?? 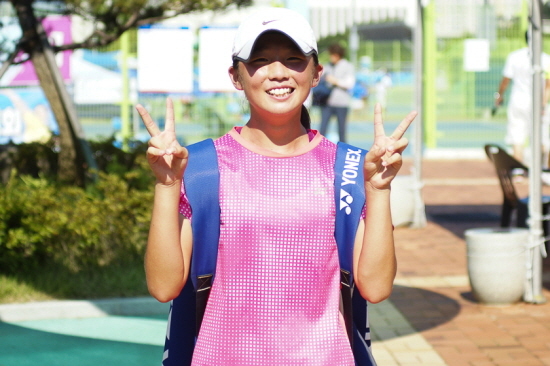 ?, Japan), made her professional debut last year, playing and losing only one pro match. Last week's W15 in Cancun was only the second professional tournament of her life and she won it. That is... utterly mindblowing. Now has a career W-L record of 5-1. Incidentally, she also won the Doubles title here. Current Junior #16. - Ana Lantigua de la Nuez (18, #?? ?, Spain), first career title, 43-34 pro record, all on clay. Where Are Last Week's Champs Now? - Pablo Andujar was runner-up ATP 250 Marrakech, ending his win streak at 14. He's now already #86. - Kamil Majchrzak lost in R3 of Taipei in a 3rd set TB to Tatsuma Ito. - Krejcikova followed up her Palm Harbor W80 title with the Pelham W25 title (see above). - Vitalia Diatchenko, as mentioned above, has won three titles in three weeks. - Olivia Rogowska is currently into QR2 of this week's Dothan W80. - Danka Kovinic lost in the SFs of Palm Harbor W80 to Nicole Gibbs. - Jil-Belen Teichmann lost in the SFs of Santa Mergherita di Pula 2 to Kaya Juvan, then lost in R1 of Lugano 280 to Veronika Kudermetova. - Giulia Gatto-Monticone qualified for Lugano 280, but lost in R1 to Viktoriya Kuzmova. - Daria Snigur finally ran out of gas and suffered her first loss of 2019, a 2 and 2 drubbing to eventual Osaka champ Han Na-Lae. Hopefully this loss will benefit her, taking some of the pressure of perfection away. - Maryna Zanevska retired 1-4 down in the QFs of Obidos 2 W25. - Katarzyna Kawa lost to Sesil Karatantcheva in the QFs of Pelham W25, but is currently into QR2 of Dothan W80. - Ipek Soylu lost in R1 of Tunis W25 to Greet Minnen. - Montserrat Gonzalez lost in R1 of Jackson W25 to Katie Volynets. - Camilla Scala lost in R1 of Tunis W25 to Varvara Gracheva. Thanks Arvis. Must take hours! It takes a bit of time, but I've got it down to a science now. 2018 champ and #2 seed Prajnesh Gunneswaran came so close to defending his points here, making it all the way to the final and defeating some familiar names (like Milojevic and Majchrzak) along the way. However, he couldn't do enough in the final against a player who is a very rare breed: British clay court expert, Jay Clarke (20, #161). Clarke is quite a bit better on clay than any other surface, even going 30-10 on it back in 2017. However, this is his only clay court Challenger title, with his only other trophy at this level coming on hard courts last year. He even defeated #1 seed Jordan Thompson here in 3 sets in R3. With a new windfall of 125 ATP ranking points in his pockets, Clarke is now at his highest career ranking. With lots of big names showing up to play on green clay in the States, it was a promising young American with two first names who took the title: Tommy Paul (21, #158) defeated #2 Tennys Sandgren in the final to take home his 2nd career Challenger trophy. "Saint" Paul has been off the radar completely since the Australian Open this year, where he lost in QR2. He played Houston qualies a few weeks ago for his first match back, then didn't play again until this tournament. Looks like he had no rust on him! Could America have a legit clay courter in its future? Elsewhere, #1 seed Hugo Dellien lost in R3 to a lion from a series of CS Lewis novels. I did not know they let lions play pro tennis at this level. Day 1: I've drawn some Dutch qualifier. Should be easy. Will report back. (........) UPDATE: It was easy. Got #16 seed next. Fully expect to be in a different city by tomorrow evening. Day 2: So uh... I beat the #16 seed. This is a new sensation. What does a person even do after winning two matches in a Challenger tournament? I've like... literally not done this all year. Eh, he was probably in bad form. Got some nobody from Ecuador next. I'm so nervous I'll probably lose now! Day 3: I did actually beat the Ecuadoran, although I thought I was a goner after losing that 2nd set TB. This is awesome! I might be able to buy my team dinner tonight with my winnings! This has been a good tournament. Hope I can at least make things interesting for the #11 seed tomorrow. Day 4: Aaaand I beat the #11 seed. What is going on? Are people throwing matches? How am I in the SFs? And my opponent in the final is a low-ranked Brazilian Alt with a Japanese last name. I should have no trouble against him. Day 5: I had no trouble against him. How the heck am I in the final of a Challenger tournament? I have only won two Futures tourneys ever! I'M NOT EVEN GOOD ON CLAY! I WENT 2-4 ON THE SURFACE LAST YEAR! I am having a crisis. At least it's finally over, because Adrian Menendez-Maceiras is way too good on clay for me to even have a chance. Day 6: I just beat Maceiras in the final in straights. I see conspiracy everywhere. I no longer trust anyone. I have taken my winnings and converted them to $100 bills which I will keep in a shoebox under my floorboards. Some guy named Pablo Cuevas (33, #73, Uruguay) won this as the #1 seed without dropping a set. Anyone heard of him? Anyone want to hear the story of this tournament? *crickets chirping* ....anyone? Is this thing on? He defeated unseeded Joao Domingues (25, #214, Portugal) in the final and everything. This makes an absurd 13 titles at this level for Cuevas. This looks like it was an exciting tournament! #6 seed Lauren Davis went the deepest of all the seeds here, but even she was no match for the fierce onslaught a certain qualifier trying to make her way back to the Top 100: Kristina Kucova (28, #196, Slovakia)! Kucova won it in style, too, taking out the #4 and #7 seeds on her way to the final. Then, against Davis, she had to win a 2nd set TB 11-9 to stay in the match before putting away her deflated opponent. This resulted in by Kucova's biggest career title and her first in 4 years! Here's a familiar name: Arantxa Rus (28, #127, The Netherlands). Formerly #61 in the world her career did take the trajectory she probably wanted. But she's here and she's winning tournaments! Not only that, but she seems to have stopped the unstoppable, defeating Dasha Lopatetska (16, #252, Ukraine) in the final here in 3 sets. Lopatetska went 11-0 on clay last year but is off to a 5-2 start on the surface this year. Good for most teens but I imagine Dasha expects better of herself. In a weird quirk, Rus has had to play qualies to get into the next Santa Margherita tourney, but she has done so successfully and even won her R1 match as of this writing. So she seems to be in good form and this win may not be as flukey as it seems. - Chanel Simmonds (26, #515, South Africa), was 1-4 in pro matches this year before taking the title. She's not even good on clay, either, and yet won this title with the loss of only 12 games across 5 matches. Delivered 2 bagels and 5 breadsticks, her worst set in the tournament was a 6-3 win. Owns many titles at this level. - Fernanda Brito (27, #547, Chile), had already won 3 titles by this time last year, went on to win 9 total in 2018. Career high rank of #274. - Despina Papamichail (26, #487, with a name like that I'll give you one guess where she's from), has played nearly 30 matches already this year. 12th career title, all at this level. - Anastasia Zakharova (17, #?? ?, Russia), another promising Russian teen, double-bageled her opponent in the final. This is her first career title. - Marcela Zacarias (25, #513, Mexico), won this "home" tournament in Cancun, was 0-2 on the year before this. - Rosa Vicens Mas (18, #659, Spain), her 2nd title this year and of her young career. Hurray for Husler! That was a funny excerpt.